Landings are one of the most dynamic moments you can capture. Legs, often tucked away in flight, are extended and wings are moved dramatically to slow the bird as it comes in for a landing. It is definitely not an easy shot, but they can be fantastic if you are lucky enough to get one. Probably the only real advantage you have is that the bird is slowing down in the final moments before it lands. This makes it a bit easier to capture a bird in good focus. 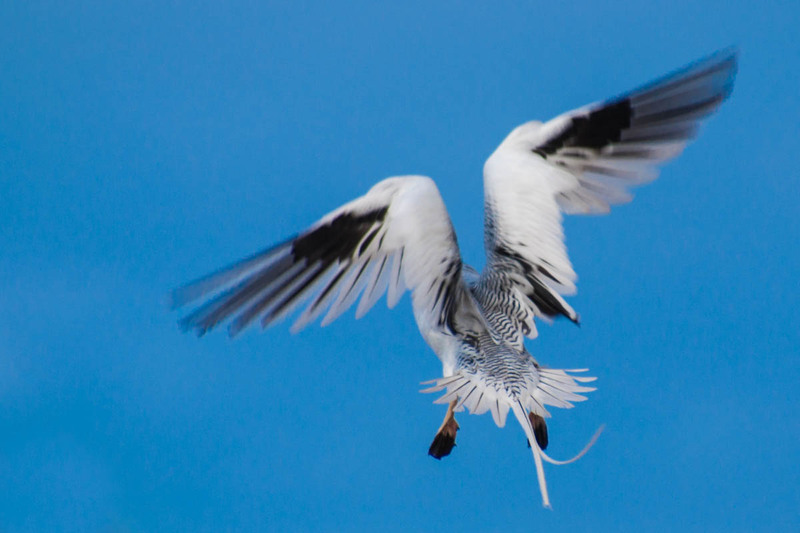 Also, the wings may be used more like a parachute than a propeller, allowing better focus on the flight feathers. For the best chance at getting a good landing shot, you’ll need to keep an eye on your surroundings. Locations where birds nest or feed are prime locations for getting this kind of shot. Keep an eye on the sky for birds joining flocks that are already feeding in wetlands, for example. 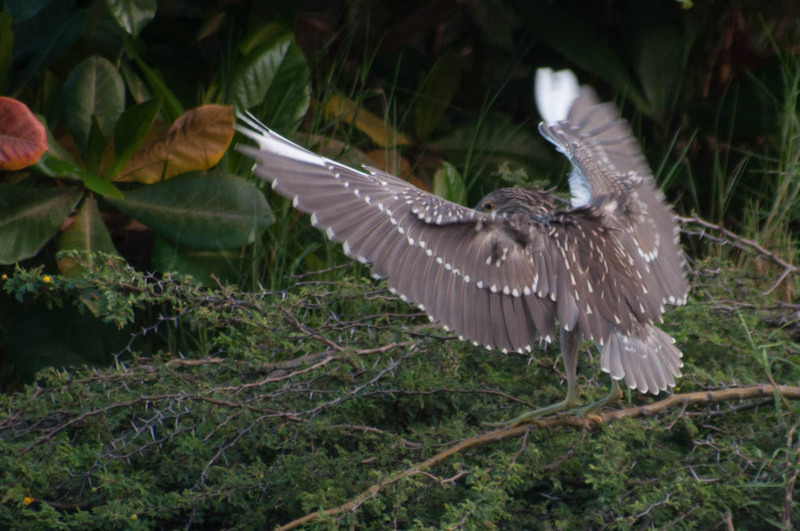 A fast shutter speed will help freeze motion, and zooming out to leave some space around the bird will help make sure nothing gets cut off when the bird changes its wing motions or extends its legs for a landing. Zooming out a bit also helps convey a sense of the surroundings where a bird is coming to rest. 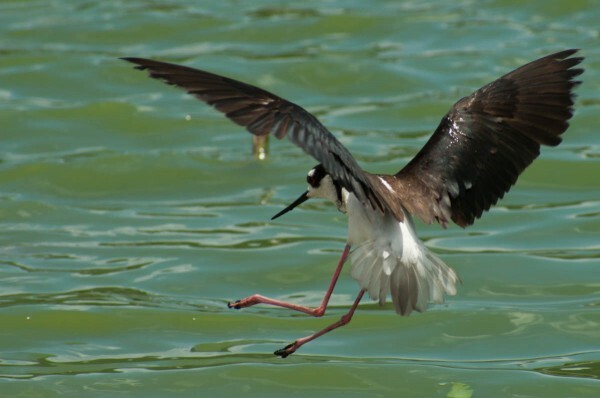 Wings, legs and tail are all in motion as this Black-necked Stilt comes down for a landing. 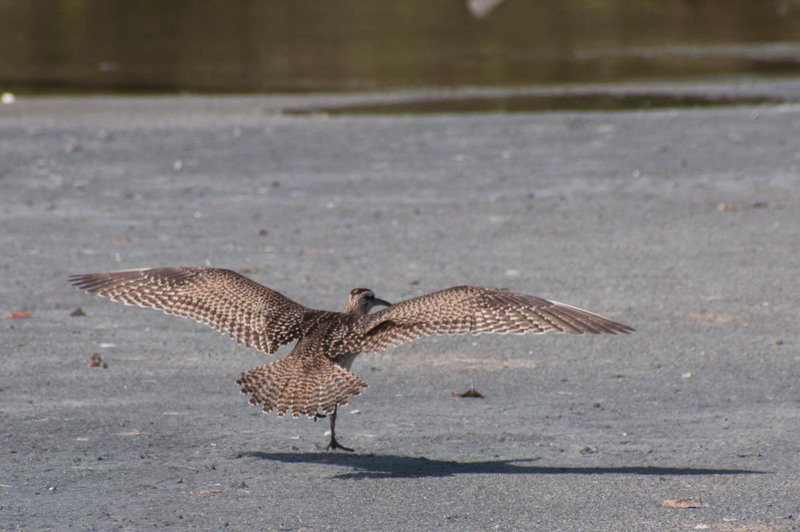 The moment before touchdown gives a perfect view of a Whimbrels wing and tail feathers. It’s one of the relatively rare situations when a photo from behind is valuable. A Red-billed Tropicbird slows down as it approaches its nest in a cliff. The motion gives the photo a sense of vitality even though the bird’s face is not visible. A juvenile Black-crowned Night Heron lands on a branch. These landings are tricker than landings on solid ground because the bird may remain in motion as the branch bends. 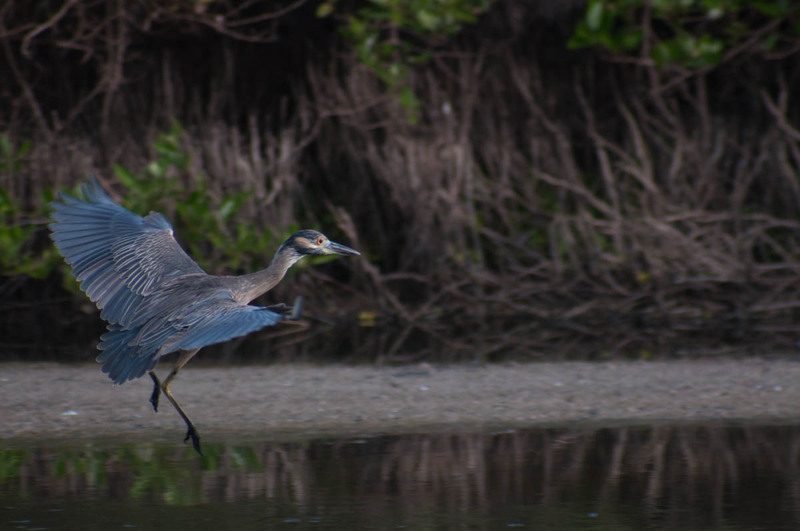 A Yellow-crowned Night Heron glides to a landing. A lucky angle captures the details of the plumage from the back and also the face of the bird as it scans the area.